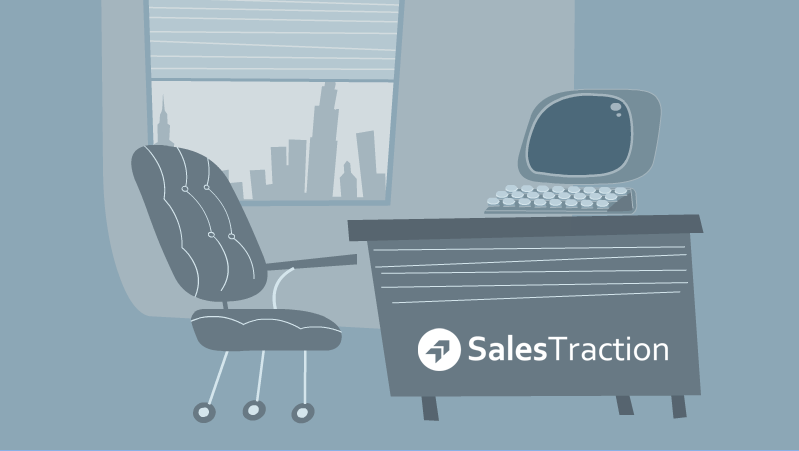 Use SalesTraction to automate the process of handling each prospect as an individual. From a single, easy to use platform, SalesTraction can send highly personalised Post, Email & SMS at the right time to ensure that every opportunity to convert a lead into a customer is fully maximised. Not convinced yet? Click Here! We promise you - this works! SalesTraction is a simple cloud-based system that has only one purpose: to take raw data and leads and convert them into paying customers. You can easily create SMS, Email and Postal campaigns to handle each scenario you regularly encounter. SalesTraction will work relentlessly for you behind the scenes to get you more customers while you get on with running your business. If you're not talking to those prospects, your competitors will be. SalesTraction is idea for any business that wants to create a steady stream of new customers. It is not a place to store stuff - it is a place where things get done. Imagine knowing that all your leads are being followed up to the fullest possible extent. That is the peace of mind that SalesTraction offers. Every day you don't have SalesTraction is costing you money. If you don't like sales or don't have time to chase leads, you are not alone! This 2 minute video shows you what SalesTraction can do to help. You can capture leads from your website and start running a campaign so that no stone is left unturned. You can create outbound campaigns with existing leads and use automated tools to convert raw data into customers. And you can Nurture long term prospects by talking to them as individuals over a prolonged period of time ensuring that your company is high on the list when they are ready to buy. So you need some Convincing? Good. We love a chance to show off. What better way to show you what SalesTraction can do than setting it loose on you? Fill in this form and find out what it is like to be on the end of a simple SalesTraction campaign. Please allow us to show you! You don't have time for lots of buttons and neither do we! Our main feature is "simplicity". You don't need to install anything and you don't need to be a pilot to understand the controls. SalesTraction gets results. The reason why is no mystery. How much more business do you think you would get by fully following up every single lead? At just £24.50 per license, SalesTraction is the most cost effective way of automating the process of converting prospects into paying customers. SalesTraction is hosted on Amazon Web Services cloud using auto-scaling servers, redundancy and delivering unrivaled performance and reliability. Our Booster Packages are designed to get you up and running as quickly and effectively as possible. Benefit from top quality targetted B2B data, campaigns written by experts and high performance landing pages. We also provide Search Engine Optimisation (SEO) & conversion analysis to ensure that you are getting the right traffic and capitalising on it. Don't pay us, let us pay you. With our affiliate programme, you will have access to great tools that you can use to promote SalesTraction to your customers including a ready-to-run campaign. We want happy customers. Become a recognised reseller and earn commission every month in exchange for keeping our customers happy. Promote your own brand and make SalesTraction a seemless part of your business with our white labelling programme. Compare our Affiliate, Reseller and White Labelling Programmes to find out which suits your needs.